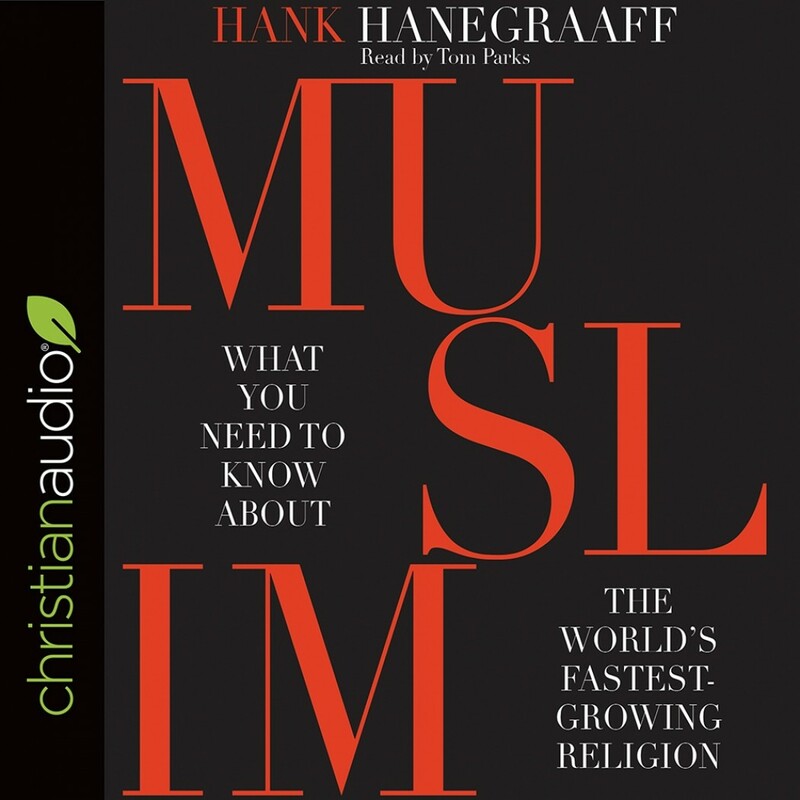 MUSLIM | Hank Hanegraaf | Audiobook Download - Christian audiobooks. Try us free. Is Islam a peaceful and tolerant religion? For all the debate over Islam and its growing presence in the world, one thing is often overlooked: Islam is not a religion in the sanitized Western sense. It is, in contrast, an all-encompassing sociopolitical legal matrix that has bred a worldview antagonistic to anything but itself. While there may be millions of peaceful and tolerant Muslims, many of them our neighbors, Islam itself is hardly peaceful and tolerant. Islam is the only significant religious system in the history of the human race with a sociopolitical structure of laws that mandate violence against the infidel. The current narrative is that to tell the truth in this regard is tantamount to radicalizing Muslims and exacerbating hostilities that may otherwise lie dormant. A common refrain has reverberated throughout the West: “Islam is not our enemy.” As well-intentioned as this mantra may be, it is a potentially dangerous stance once someone understands Islam in full. Despite its incoherence, Islam—one billion six hundred million strong and growing—is poised to fill the vacuum left by a Western culture slouching inexorably towards Gomorrah. Demographics alone are alarming. While polygamist Muslims boast a robust birth rate, native Westerners are moving rapidly toward self-extinction. Filling the void are multiplied millions of Muslims who have no intention of assimilating into Western culture. Equally grave is the specter of global Islamic jihadism now exacting mass genocide on Christians in the East and ever-multiplying terrorist attacks throughout the West. We are also witnessing the co-belligerency of fantastically wealthy Saudis spending multiplied billions of dollars exporting virulent Wahhabism to the West. Worse still, Western governments, academic institutions, and media outlets seem bent on exporting a false narrative respecting the religious animus animating global Islamic jihadism. In MUSLIM: What You Need to Know about the World’s Fastest Growing Religion, Hanegraaff not only outlines the problems in accessible and memorable fashion, but moves toward potential solutions in the clash of civilizations.